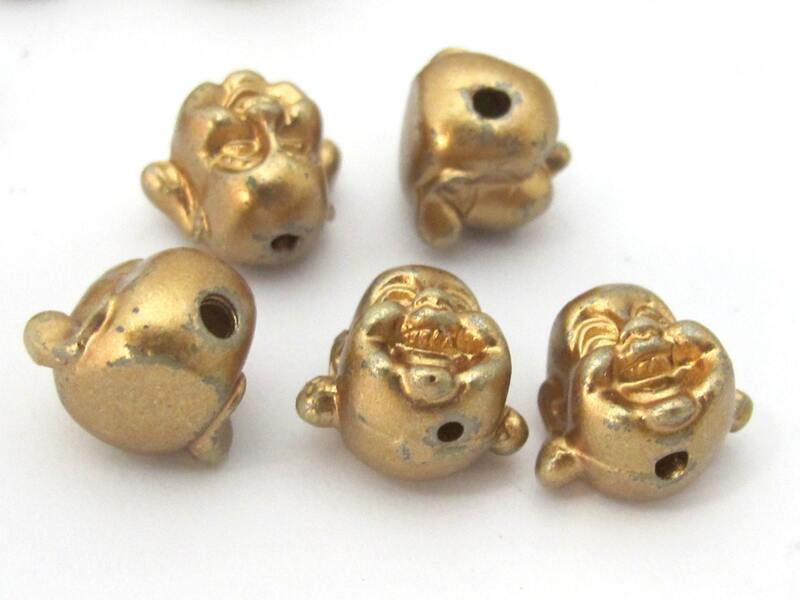 Cute laughing Buddha pendant beads. Vertical hole drilled from top to bottom. 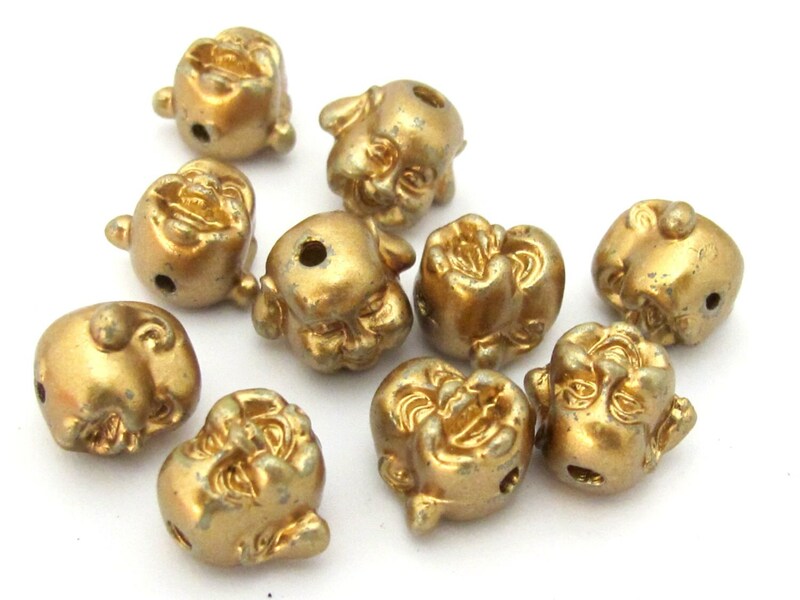 Size - Approx 14 mm wide at its widest part (left ear to right ear ) x 12 mm height (hole to hole) . Bead hole size is approx 1-1.5 mm. 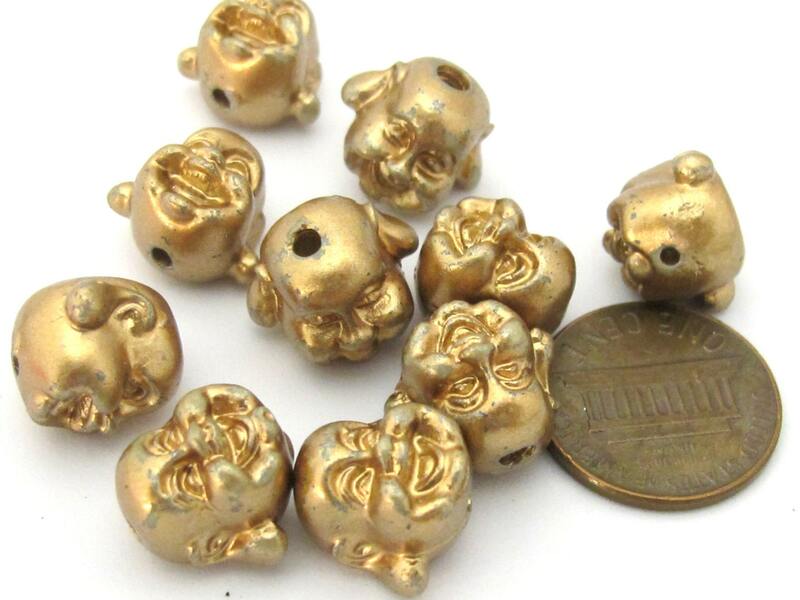 Each bead may vary slightly from the other. Color tones may slightly vary depending on monitor resolution.